We at Medieval Collectibles understand the value of a good cape; like any good accessory, a good cape or robe can make or break an otherwise excellent costume. 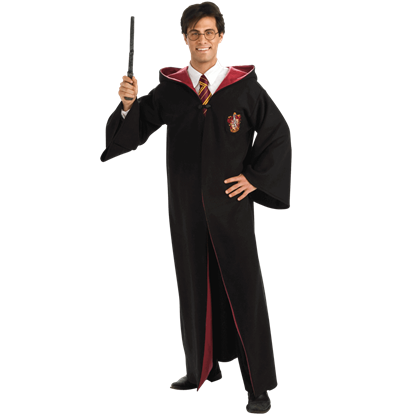 So if you believe that your costume needs that flair that only a good cape can provide, then you need look no further then here, at our costume capes and robes. Not only do we carry various styles of capes, in different sizes and cuts, but we also carry several different colors of capes and robes. We have hooded capes in black, red, and white; we have hoodless capes in red, burgundy, and black. We have capes that reach nearly the floor and capes that stop just-short of the knees. 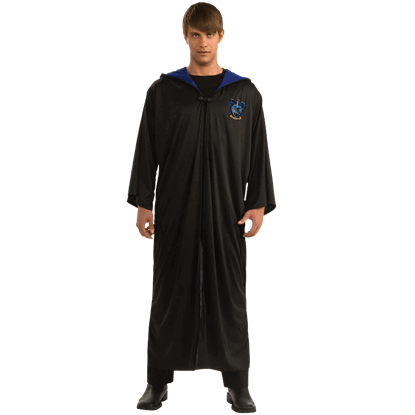 And if a cape is not the touch you need, then try out a robe; we offer a number of robes that can make any costume a bit more intriguing and mysterious, if not down-right mystical. And of course, our robes can also stand alone as the beginnings of great costumes, if that should be your wish. 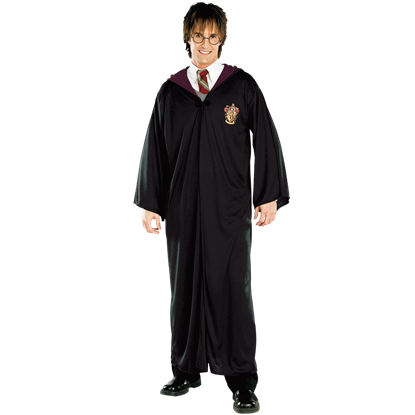 So if your costume is missing something and you cannot put your finger on what that something is, check out our costume capes and robes; your costume might just be missing a good cape or robe. 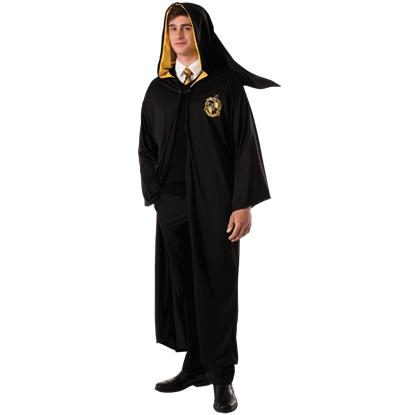 Our 45 Inch Black Hooded Costume Cape is a very versatile piece for costuming. Whatever theme you are dressing as, Medieval, Renaissance, Gothic, or Pirate, a cape is the perfect accessory. It is made from polyester and features a hood. 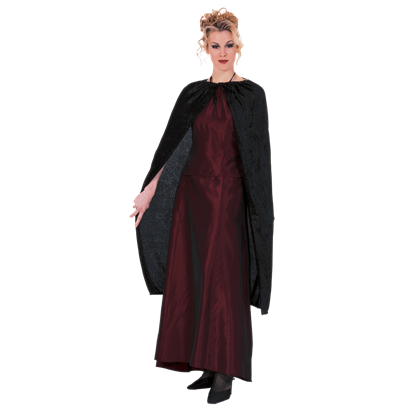 Our 45 Inch Black Panne Velvet Costume Cape is a versatile piece for costuming. Whatever theme you are dressing as, Medieval, Renaissance, Gothic, or Vampire, a cape is the perfect accessory. This cloak is made from panne velvet. Our 45 Inch Burgundy Panne Velvet Costume Cape is a versatile piece for costuming. Whatever theme you are dressing as, Medieval, Renaissance, Gothic, or Vampire, a cape is the perfect accessory. This cloak is made from panne velvet. 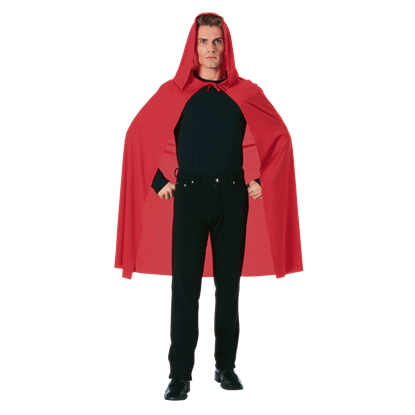 Our 45 Inch Red Hooded Costume Cape is a very versatile piece for costuming. Whatever theme you are dressing as, Medieval, Renaissance, Gothic, or Pirate, a cape is the perfect accessory. It is made from polyester and features a hood. 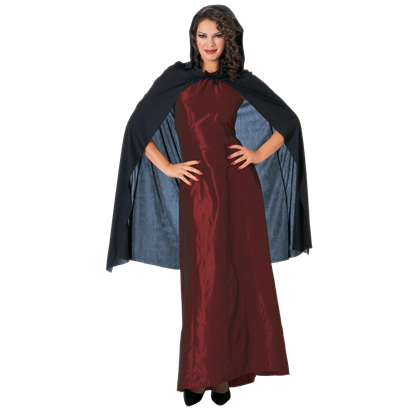 Our 45 Inch Red Panne Velvet Costume Cape is a versatile piece for costuming. Whatever theme you are dressing as, Medieval, Renaissance, Gothic, or Vampire, a cape is the perfect accessory. This cloak is made from panne velvet. Our 45 Inch White Hooded Costume Cape is a very versatile piece for costuming. Whatever theme you are dressing as, Medieval, Renaissance, Gothic, or Pirate, a cape is the perfect accessory. It is made from polyester and features a hood. The Adult LOTR White Arwen Costume Cloak is made of polyester, which is a typical costume material. You can wear this with any of our Lord of the Rings Costumes, and it also looks great with any medieval or renaissance themed costumes.